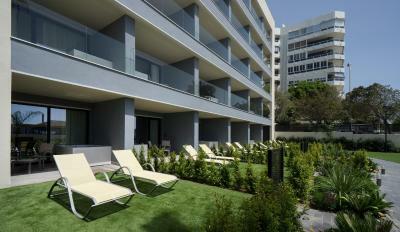 Lock in a great price for Medplaya Hotel Pez Espada – rated 8.3 by recent guests! Facilities were comfortable, staff were pleasant . There was a good selection of food (breakfast and dinner) with different themes each night. In addition, the location is really near to the beach. Truly less than 1 min walk. Which is awesome! Also, Malaga is close by. Just 25 mins with the car. The weather was bad so we went a couple of times to Malaga with our rental car. 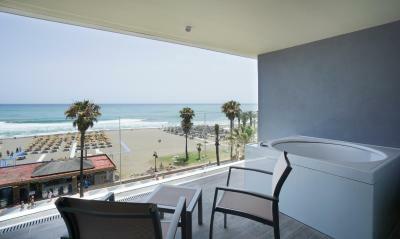 The hotel is separated from the beach only by a pedestrian promenade and has great sea view from certain rooms. The club rooms are very nice with a lot of space. There are many places to eat around the hotel. The breakfast is good with fruits and a reasonable choice of vegetables. The dinner is good but the restaurant does not has a very friendly atmosphere. It is a good choice is you travel with children because it is more comfortable. I would therefore not recommend halfboard for adults. There is a bar with sea view in the hotel, nice if you like bingo. The pool is nice and clean with a bar nearby. We appreciated that if one cannot be offered a late checkout, the hotel provides, free of charge, a room for 20-30 minutes in order to take a shower and change. Loved the location. The breakfast and evening meal were nice. Next time I would get a superior room as like a tea or coffee when I wake up. We were in a standard room which didn't have these facilities. great location, friendly and helpful staff. lovely restaurant with good selection of food at breakfast and dinner. wonderful junior suite - hot tub an extra special bonus! 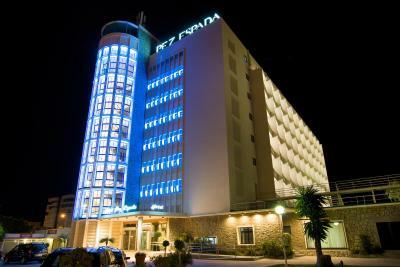 Medplaya Hotel Pez Espada This rating is a reflection of how the property compares to the industry standard when it comes to price, facilities and services available. It's based on a self-evaluation by the property. Use this rating to help choose your stay! One of our top picks in Torremolinos.Overlooking the Mediterranean Sea, Pez Espada features an outdoor pool with direct access to La Carihuela Beach. Each of its rooms has a balcony offering side or full sea views. Free WiFi is available throughout. 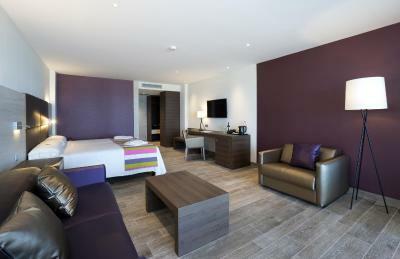 The Medplaya Hotel Pez Espada has accommodations with parquet floors. Each room comes with a flat-screen TV. A mini-bar is available upon request and you can rent a safe. A range of international cuisine is on offer in the Espada’s buffet restaurant, while Frankie’s Café offers drinks and snacks in the hotel’s attractive gardens. There is also a bar with live shows in the evening. The Pez Espada has a quiet setting between the La Carihuela and Solymar districts, 0.6 mi from the center of the popular resort of Torremolinos. Málaga Airport is just 20 minutes’ drive from the hotel. 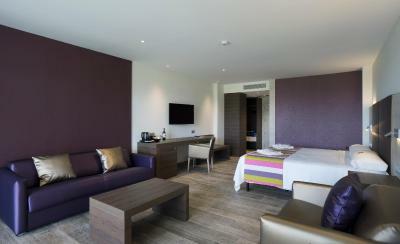 When would you like to stay at Medplaya Hotel Pez Espada? This room features a private terrace with side sea views and views of the pool. It comes with a flat-screen TV, free WiFi, and tea and coffee making facilities. A safety deposit box and Bluetooth speakers are available. 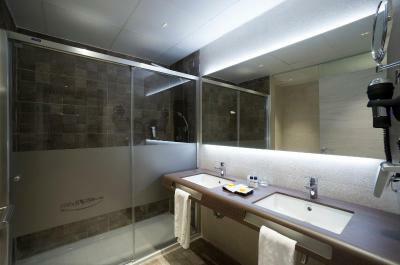 The private bathroom comes with a hairdryer, bathrobe and slippers. There is also a mini-bar. Air conditioning is available from May to October. This room features a private terrace with sea views. It comes with a flat-screen TV, free WiFi, tea and coffee making facilities, and a bottle of cava. 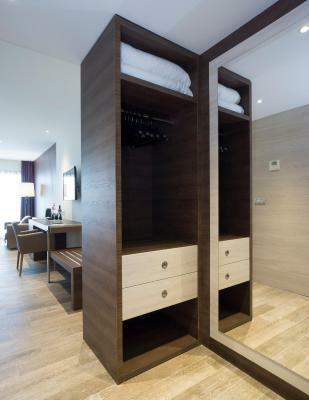 The private bathroom comes with a hairdryer, bathrobe and slippers. Air conditioning is available from May to October. A mini-bar is available upon request and you can rent a safe. Free WiFi is included. This room features a private balcony. 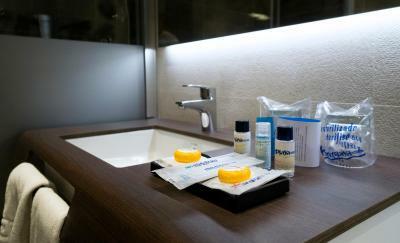 It comes with 2 single beds of 41 in, a flat-screen TV and a private bathroom with a bath, hairdryer and free toiletries. Air conditioning is available from May to October. This room features a private balcony. It comes with a flat-screen TV and a private bathroom with a hairdryer. Air conditioning is available from May to October. A mini-bar is available upon request and you can rent a safe. This family room features free WiFi. It includes a mini-bar, flat-screen TV, Bluetooth speakers, tea and coffee facilities, and a safe. A bath robe and slippers are provided. This triple room features free WiFi. It includes a mini-bar, flat-screen TV, Bluetooth speakers, tea and coffee facilities, and a safe. A bath robe and slippers are provided. This family room features a flat-screen TV, air conditioning and iPod dock. 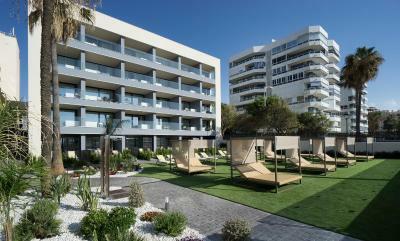 House Rules Medplaya Hotel Pez Espada takes special requests – add in the next step! 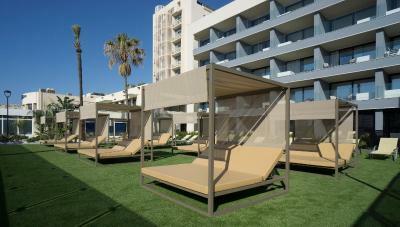 Medplaya Hotel Pez Espada accepts these cards and reserves the right to temporarily hold an amount prior to arrival. Please note air conditioning is available in rooms from the end of May until October. Guests are required to show the credit card used during booking and a valid ID. Safe deposit boxes are available for an extra charge. Please note that guests must wear long trousers to dinner. Please note that children aged from 2 to 12 years old are considered children in terms of rates and occupancy.